We love this kitchen wall quote and I especially love it here. Doesn't it make you want to gather your little (or large) family around that table and eat and play games? It's just that kind of impulse that we want our wall quote designs to inspire in your homes and I love how it's come across beautifully in this month's customer photo submission contest winner. Thanks for sharing, Dan! This month's $50.00 customer photo gift certificate is all yours. Wahoo! **Want to win a $50.00 gift certificate of your own? 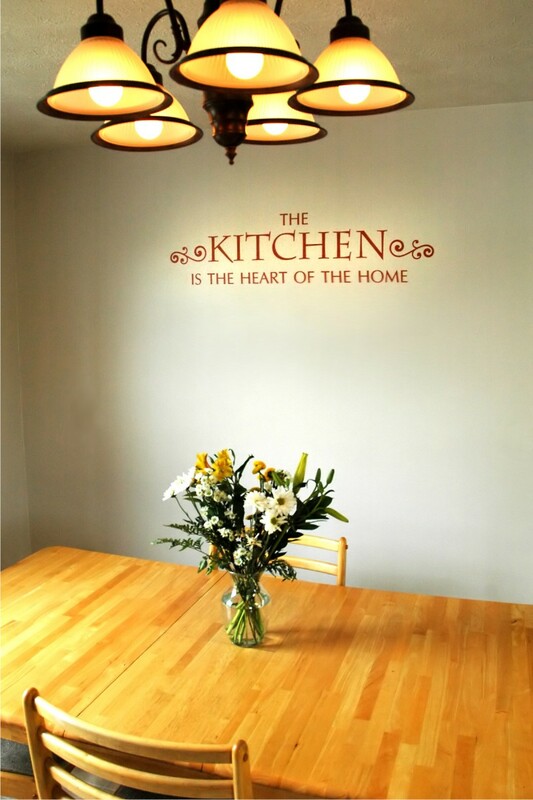 Send in a photo of your new wall quote from Belvedere Designs and we'll enter you in the pot for a chance to win. We choose a winner every month - your photo could be our next star!